Give your iCard business card USB the V.I.P. care it deserves with our iCard Vinyl Sleeves! 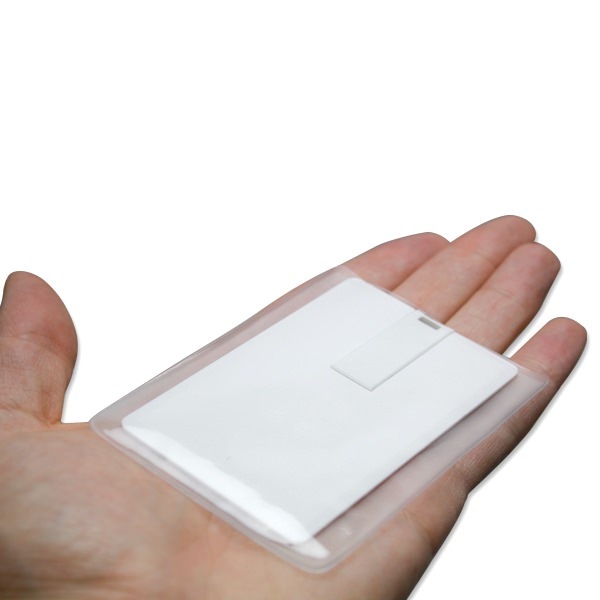 These 61mm clear vinyl sleeves are specifically designed to fit the iCard drive. They come with a slot opening for easy retrieval. 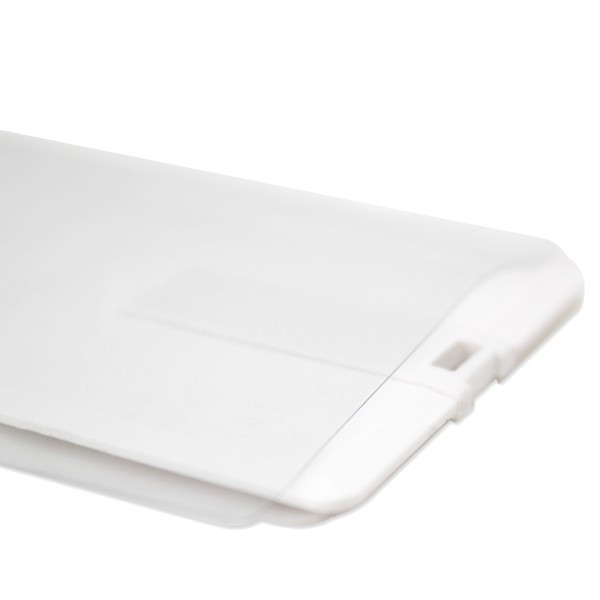 Able to fit snug and secure in your wallet, these sleeves are perfect for all your marketing, distribution, and storage needs. Give your credit card USB flash drives an extra layer of protection! 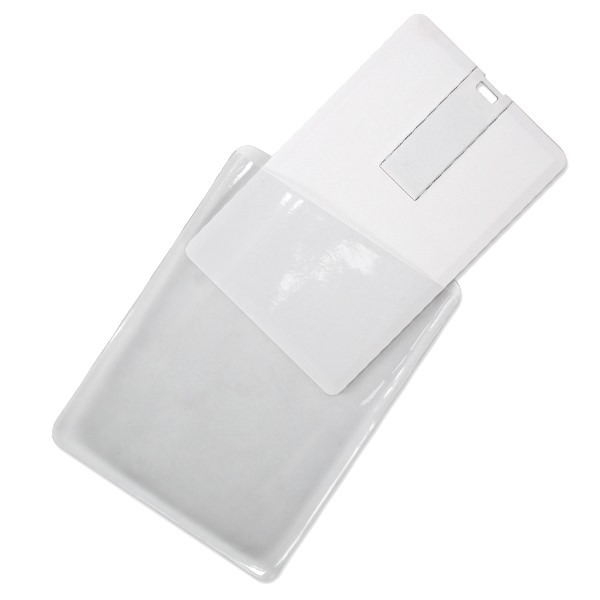 Our USB iCard Vinyl Sleeve is specifically designed to protect your iCard USB drive. It fits snugly and securely into any wallet, offering an exceptional packaging alternative for this very popular business card disc! Made out of clear vinyl, it’s perfect for showing off your iCard’s customized design! 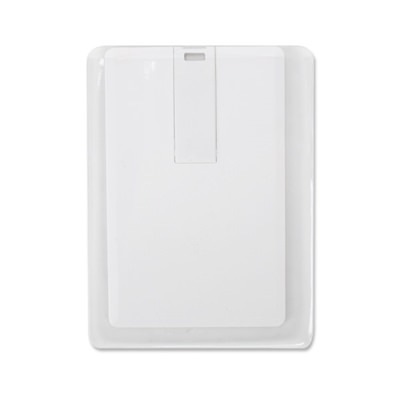 This compact and smooth vinyl sleeve features a slot opening for easy retrieval. 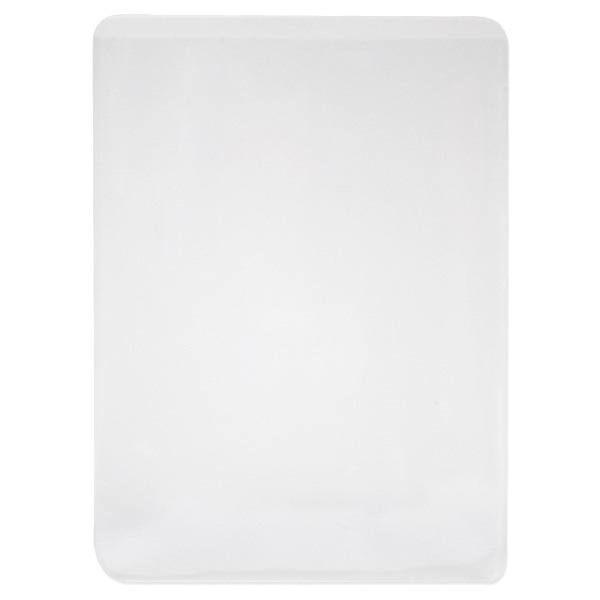 The iCard Vinyl Sleeve is ideal for marketing, distribution, and storage needs. It also makes a great addition to your promotional gifts or giveaways: It gives your iCards a more professional and polished look.